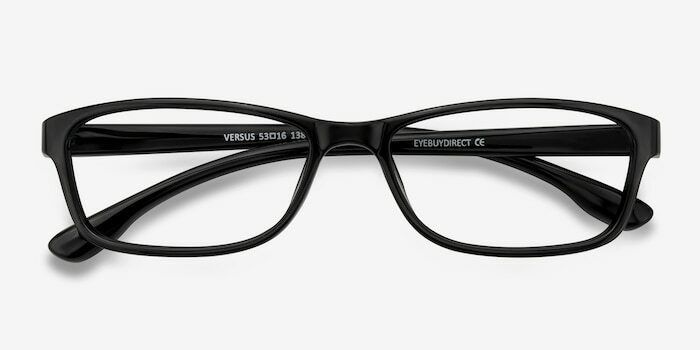 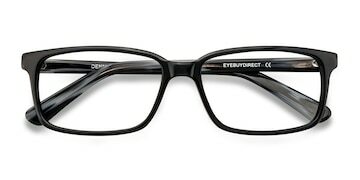 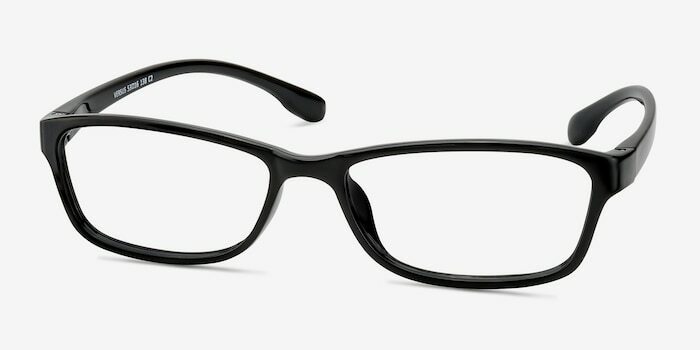 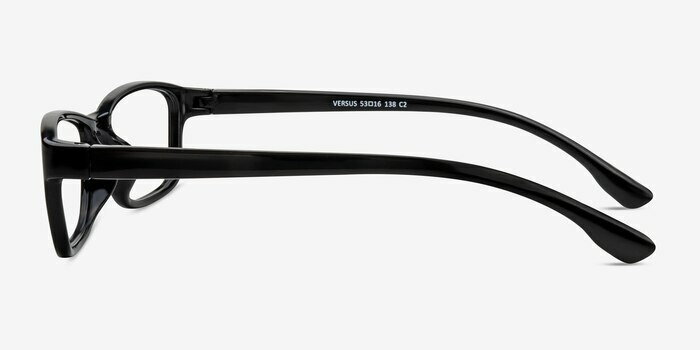 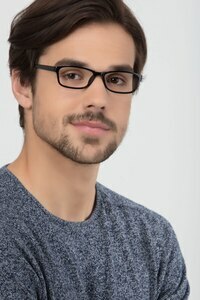 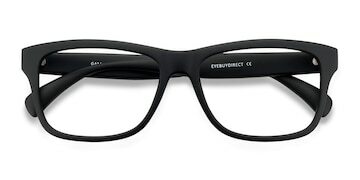 These black eyeglasses are universally flattering and stylishly unwavering. 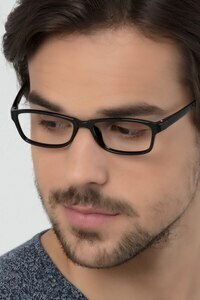 This simple frame comes in a glossy black finish throughout with narrow rectangular shaped lenses. 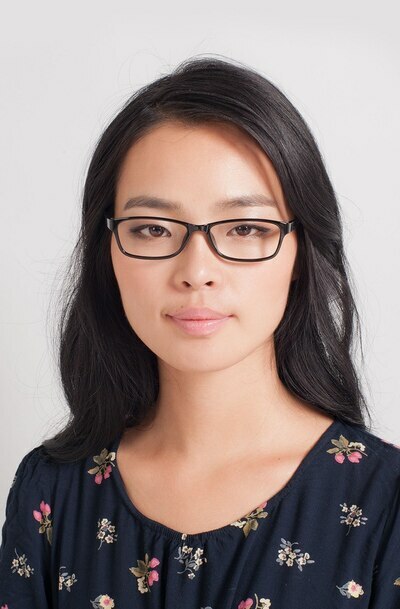 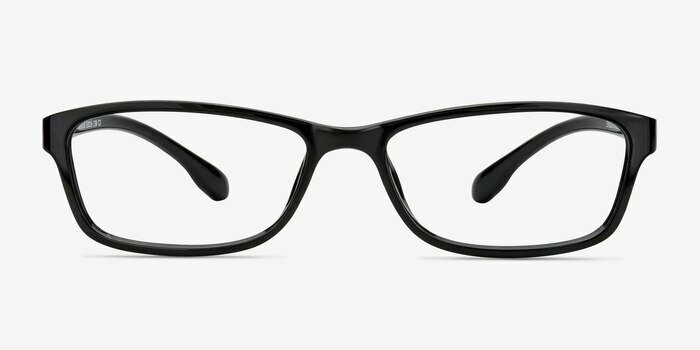 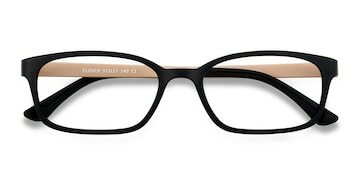 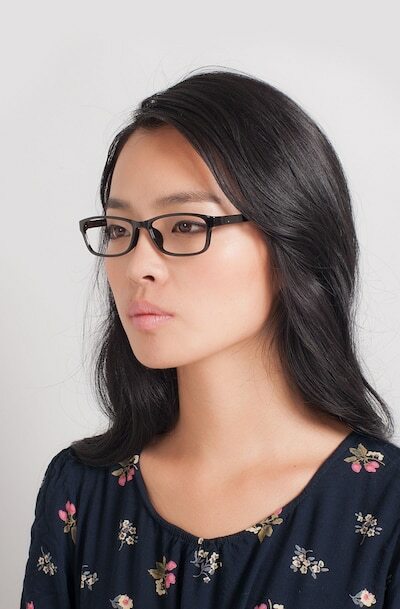 Unadorned and simple, these humble eyeglasses complement both men and women.